It’s no secret that the tech industry has driven up the cost of living in the Bay Area to a mind-boggling degree. Engineers and marketing executives living on otherwise plush salaries say they can’t afford rent in San Francisco and surrounding areas, which is why one CEO is offering his employees $10,000 to relocate anywhere outside the all-encompassing tech bubble. Foster’s scheme makes sense, given the exorbitant cost of housing in the Bay Area. 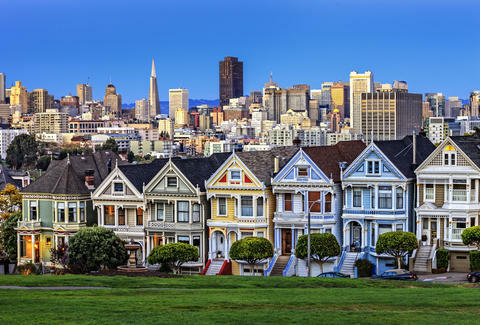 The average cost of a two-bedroom apartment in San Francisco is $4,650, according to the financial data firm Smart Asset. By the same metric, two people with a combined income of $216,219 could theoretically squeak by and each have their own bedroom in the city. Zapier’s employees all work remotely, so the $10,000 payout could be viewed as a bonus, or a potential incentive for a new hire to get the hell out of dodge. The money covers moving expenses for your first three months working at the company, and Foster notes it's preferable for new hires to stay onboard for at least a year. Still, the prospect of evading the tech scrum has probably never sounded more enticing and financially secure.